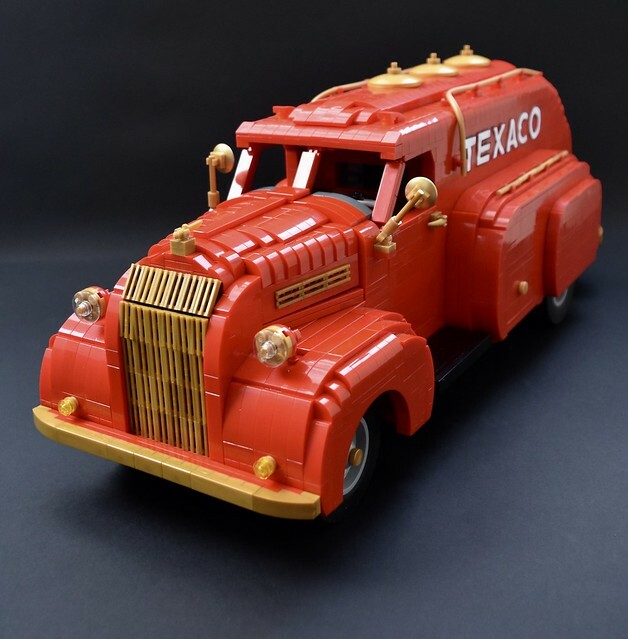 Based on the 1930's Dodge Airflow, builder red 2 has masterfully recreated this classic tanker truck. It features opening doors, rear and side hatches, hood, and glove box. It's even got a tilting seat, which would come in pretty handy when the driver needed to take a snooze between deliveries, I suppose. That was before GPS tracking.